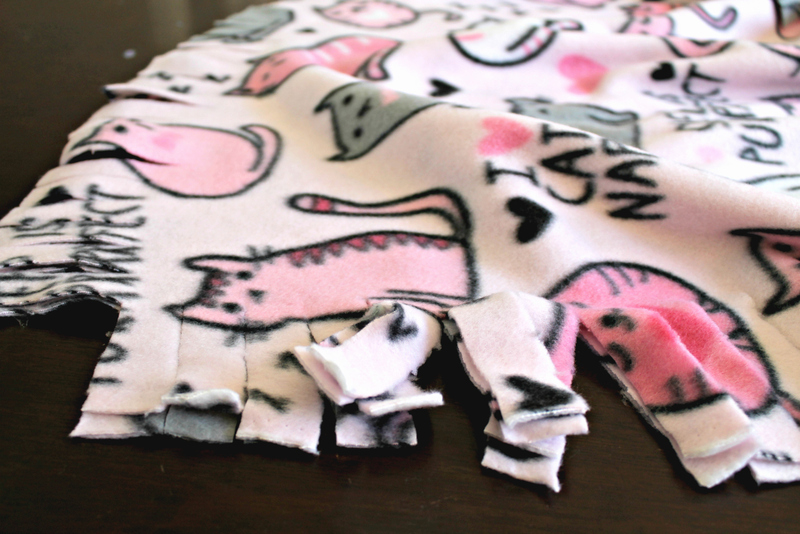 Keep scrolling to see the DIY for this cute DIY Pet Blanket! Hope you’re having a great day so far! 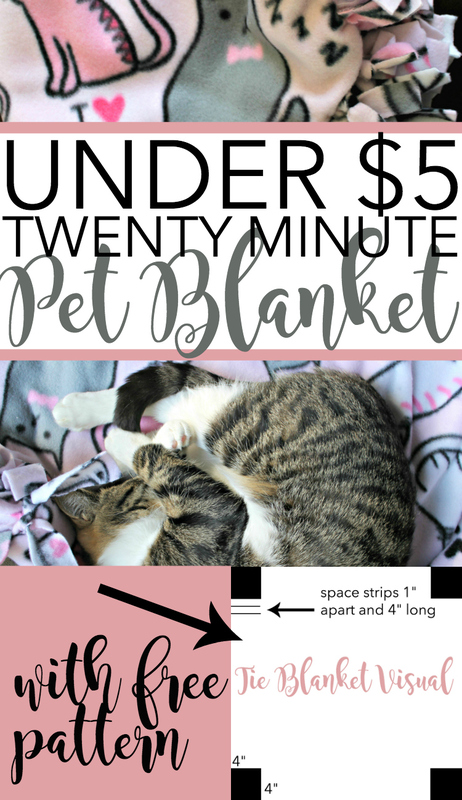 Today little kitty and I are stopping by to share this super-simple and affordable tie blanket! This will cost you under $5 to make, and will only take up about 20 minutes of your time. 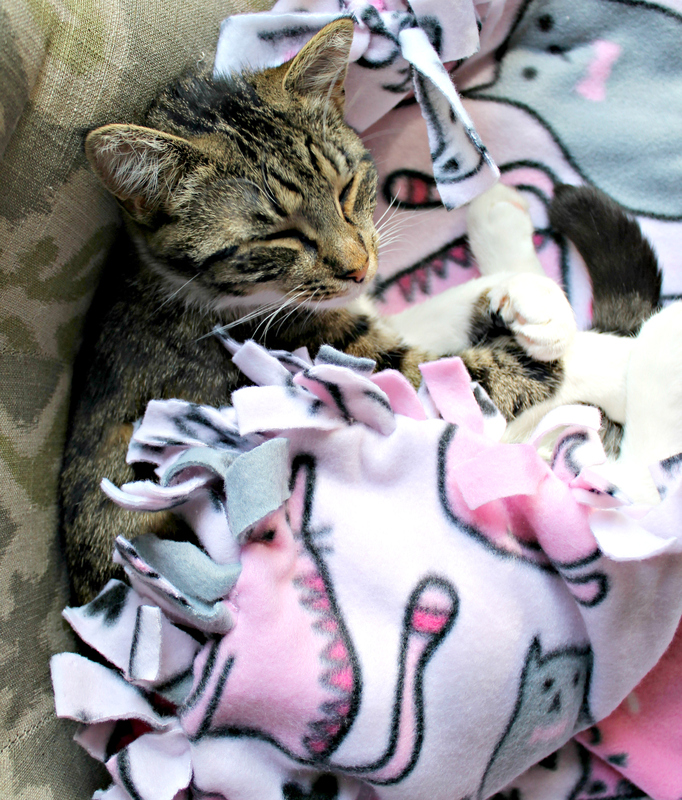 My pets absolutely LOVE these fleece tie blankets, and I can’t wait to share with you just how EASY they are to make! First things first, you only need to shop for one yard of fleece fabric. I’d recommend going to either Joann Fabrics or Michaels, shop the sale section, and pair with a coupon. 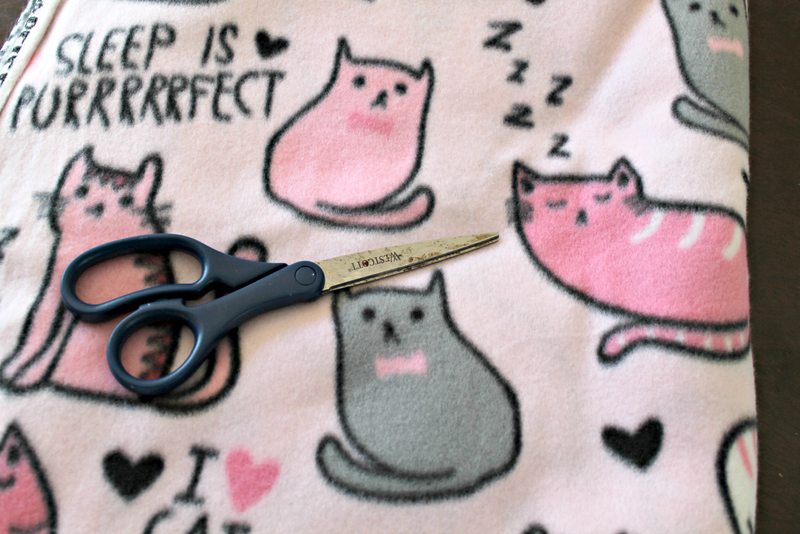 I found this adorable kitty fleece in the sale section and when I used a 20% off coupon stacked on top of the sale price, this fleece cost right under $5! Our littlest kitty, Willow LOVES sleeping on my favorite dining room chair. 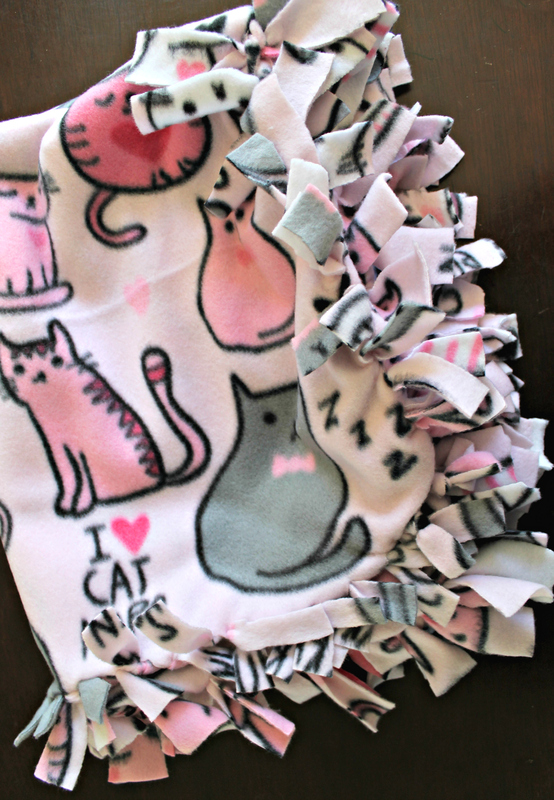 This fleece blanket is the perfect solution to keeping it free of cat hair. 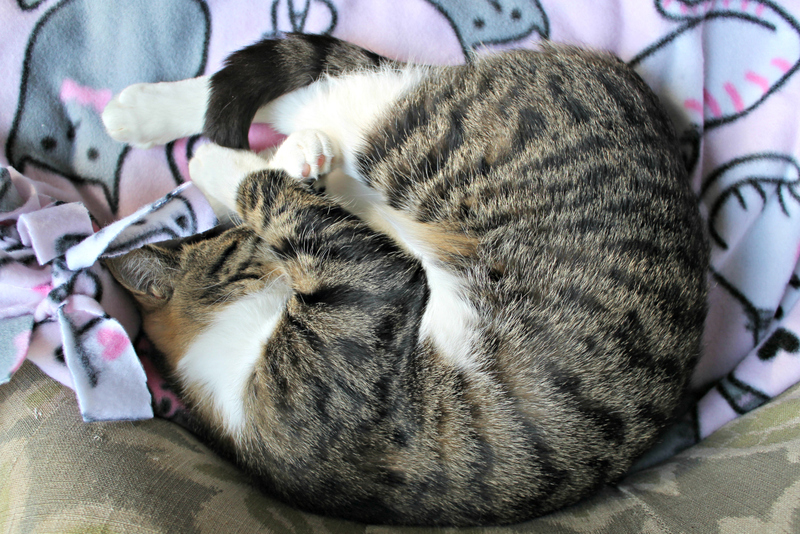 I made two of these blankets, so when one needs to be washed I can simply swap it out! 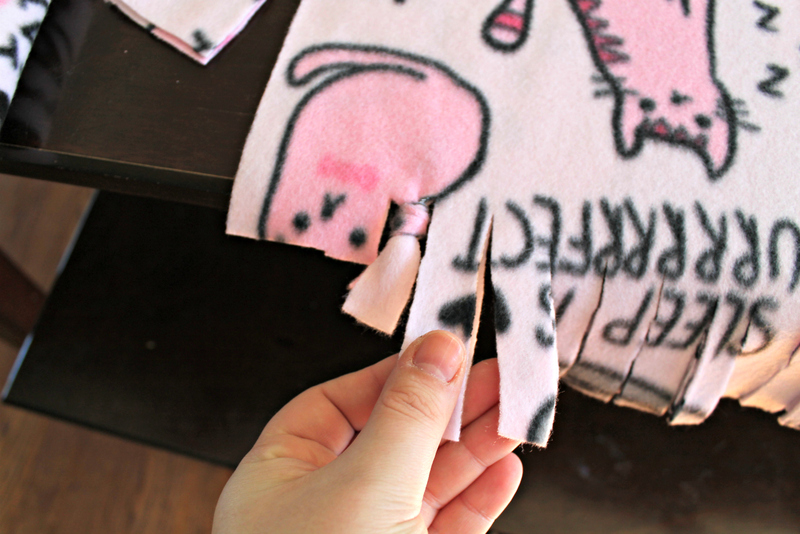 Fold fabric in half so it’s double layered, cut so you have two pieces that measure exactly the same. Lay the two pieces together with the print on the outside. 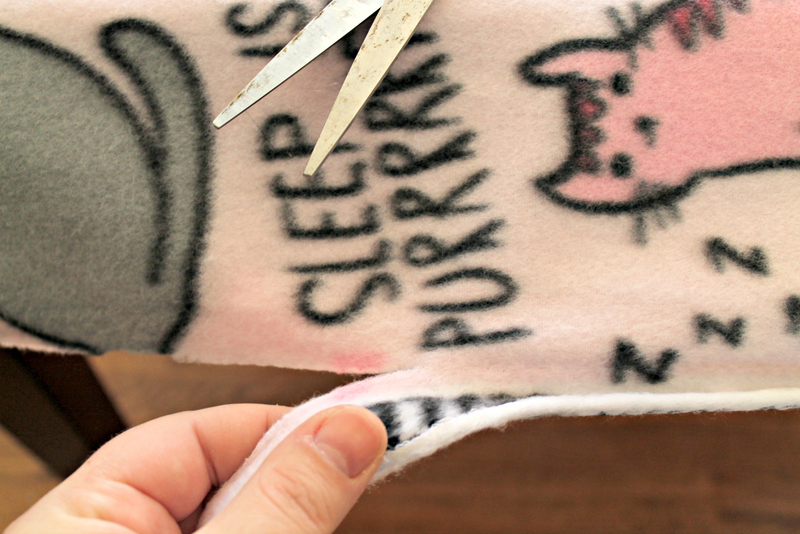 Begin to tie your blanket strips together! 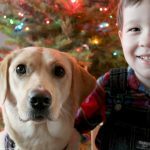 This blog post is a great resource for deciding how you want to tie your blanket. I love just taking a top and bottom strip and double knotting them, but I’ve also done the tuck option too, but it takes a bit more time. Simple, huh? 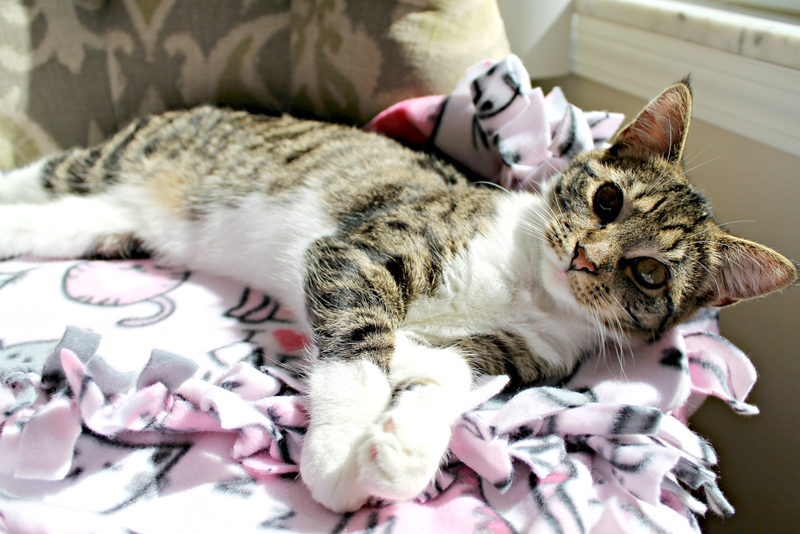 Next, hand it over to your kitty – and let them snuggle up and enjoy the warmth of this double-layered blanket! It’s so cozy and perfect for everyday lounging, plus, cats really love the tassels! 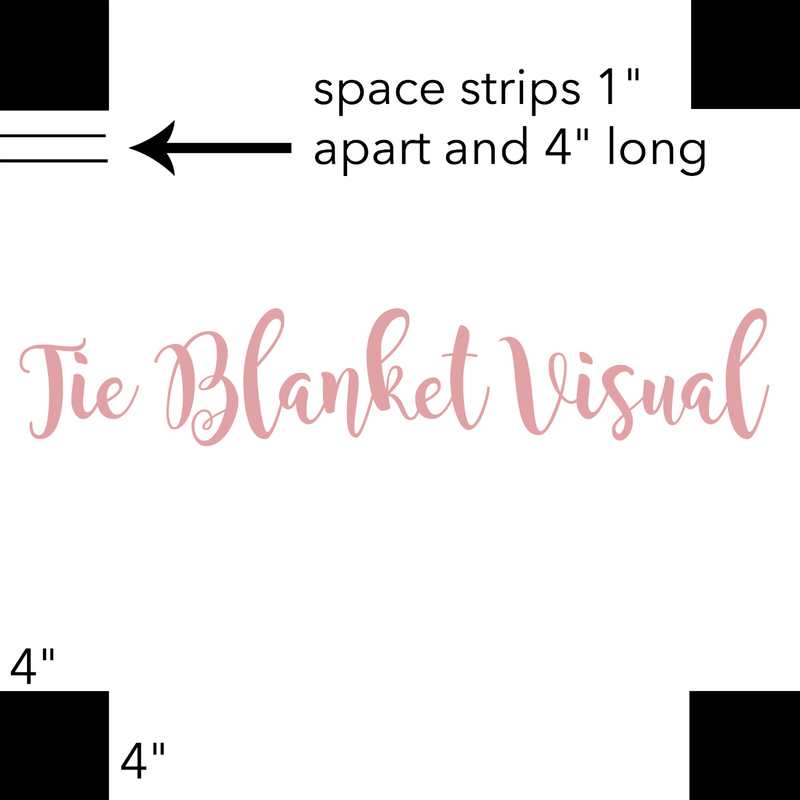 Have YOU ever made a tie blanket? What’s your favorite way to finish off the ends? 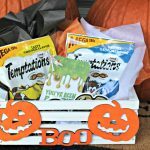 How to Make a Halloween BOO kit for Cats!